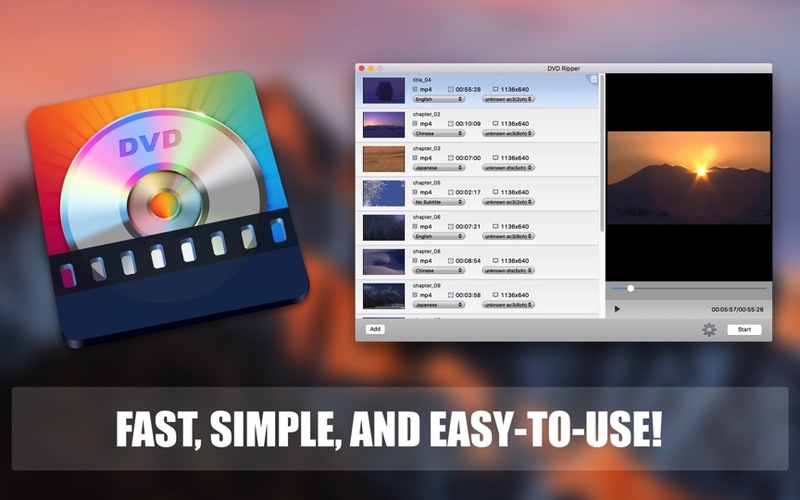 DVD Ripper is designed for Mac users to back up DVDs to a hard drive, or rip DVDs into popular file formats for playback on multiple multimedia devices. It features customizable options, such as the ability to rip DVDs by custom output profile, set video and audio parameters, select target subtitles and audio track, etc. With this powerful Mac DVD ripper, you can enjoy DVD movies anytime and anywhere without any need to insert DVDs. • Rips any DVD with fast speed and high quality. • Rips DVD to all popular video file formats, including MPEG, WMV, FLV, MOV, MP4, H.264, etc. • Supports almost any multimedia display device. • Provides preloaded profiles for iPod, iPhone, Samsung, PSP, etc. 1. Launch DVD Ripper and load your source DVD. 2. Select the output format. Then select the target subtitles and audio track. 3. Select the output directory. 4. Under the settings option, choose the DVD loading mode. 5. Click “Start” to convert.